As you were going through your garage and/or storage room to uncover all of your holiday decorations, you probably had the thought “Why do I have so much stuff?”. 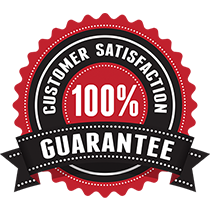 At Junkinator, we’re here to help you rid yourselves of unnecessary items that you’re not using and just storing. Start fresh and lighter in 2018 and let us help you remove unwanted bags of miscellaneous junk, furniture, Christmas trees, appliances and more. We’ll donate and recycle what we can and then dump the rest. 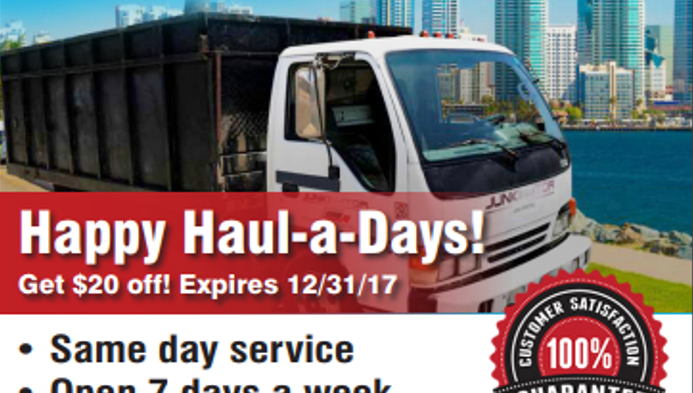 Happy Haul-a-days from the largest San Diego owned and operated junk removal service, Junkinator Hauling Services! Aw, this was an incredibly nice post. Taking a few minutes and actual effort to create a top notch article… but what can I say… I procrastinate a lot and never manage to get anything done. Hello! Thank you for reaching out. If you credit us, I’m okay with you if you quote us. Can you send me a link to where you post? What city are you in? Thanks! Good luck!